Because who doesn't want to walk around with Metal Gear REX for a head? 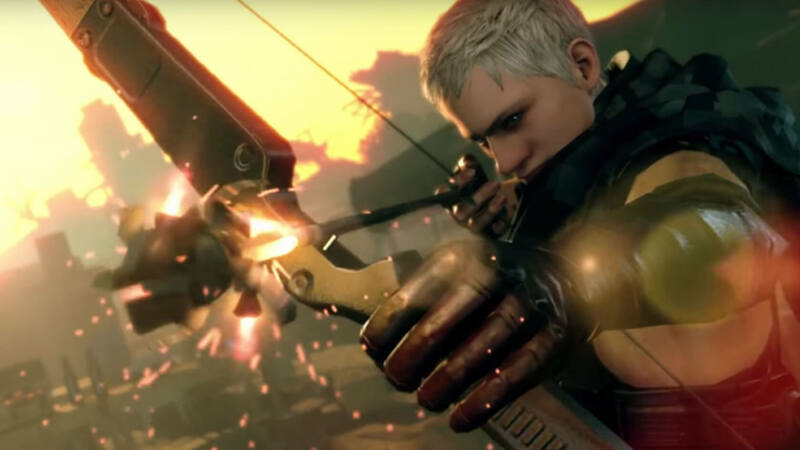 It appears that Konami is finishing up work on its newest addition to the Metal Gear franchise, Metal Gear Survive. The company just released a beta for the game on both Xbox One and PlayStation 4 (sorry PC, no love for you). The game is something of a departure from the series as it pushes into the survival genre. It will have players collecting resources, constructing defenses, scavenging for food and clean water, and fighting — er, zombies. The move might be a disappointment to fans but it is not a big surprise since the mastermind behind the franchise, Hideo Kojima, left Konami back in 2015. Don’t discount the game, though. According to Polygon, which got a few hours of hands-on time with the title, it’s pretty fun. The beta, which will last only four days, is looking to test the multiplayer cooperative mode of the game. From now through the weekend, up to four players will have access to three scenarios on two different maps. Konami will also be running daily missions throughout the testing period. Those participating in the beta will be rewarded with unique items to use in the full version of the game including a Fox Hound nameplate, a Metal Gear REX Head cosmetic and the classic Solid Snake bandana. Unfortunately, the progress made during the beta will not carry over to the final game. Those interested in participating in the public beta can download it from the Xbox Store now. Currently, the US PlayStation Store does not have the download available due to technical issues which Konami is working to fix. However, areas outside of the US do have access to the PS4 version. The beta period will run through January 21. The full game is scheduled for release on February 20 for Xbox One, PlayStation 4 and PC.